In many of the pediatric subspecialties, the duration of training may be altered to allow the individual to enter subspecialty training at an earlier time. Generally, these pathways have been devised to foster development of the physician-scientist. For example, MD/PhD physicians may be interested in the Integrated Research Pathway which allows for 24 months of specified pediatric rotations and 12 months of research to be completed during the 3 year pediatric residency. Others may choose the Accelerated Research Pathway in which there are 2 years of general pediatrics training and 4 years of subspecialty training. For those interested in dual certification (e.g. cardiology and critical care medicine), the total training time usually required to achieve certification in both subspecialties may be able to be reduced. A new pathway, Dual Certification in Pediatric Critical Care Medicine and Anesthesiology was recently approved by both the American Board of Pediatrics and the American Board of Anesthesiology. In addition, individuals trained in medicine and pediatrics who are interested in subspecialty certification by both the American Board of Internal Medicine and the American Board of Pediatrics may be eligible for a 1 year reduction in the total training time. Finally, those who have substantial research accomplishment completed before entering fellowship may wish to petition for subspecialty fasttracking. Guidelines and requirements for these pathways can be found on the American Board of Pediatrics website. Individuals who are interested in special training pathways should begin their planning as early as possible. Many programs have an established track record of training international graduates. However, since there may be funding issues for non-US residents, international medical graduates should contact specific programs for details. 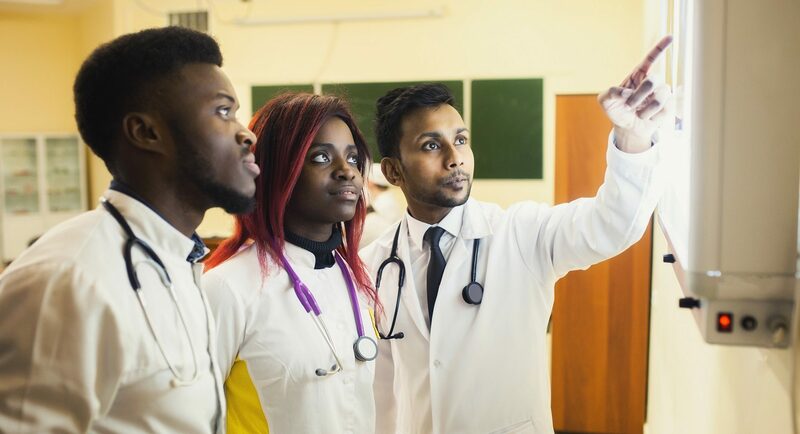 Information regarding credit for non-US medical school training and US visa requirements can be found at the US Department of State Bureau of Consular Affairs and at the Educational Commission for Foreign Medical Graduates (ECFMG) websites.